Ernest L. and Ruth W. Finley Foundation Science & Imagination Hall at the Museum. Redwood Empire Garden Railway Society in partnership with the Hunter Train Depot.. The Railroad consists of 250 feet of 2 continuous loops of track suspended from the ceiling. Train operations can be easily viewed from our mezzanine level where kids of all ages can interact with train operations. There are interactive controls at the Mezzanine Train Station where you can activate a Train Conductor’s All Aboard Announcement, a steam train whistle & bell and start the train in motion. Also located on the Mezzanine Level opposite the Train Station is a replica of a passenger car where visitors can view videos from the perspective of the train. Other G-Scale train layouts can be viewed here as well. Just around the corner is a large display case with variety G-scale locomotives and train cars on display. 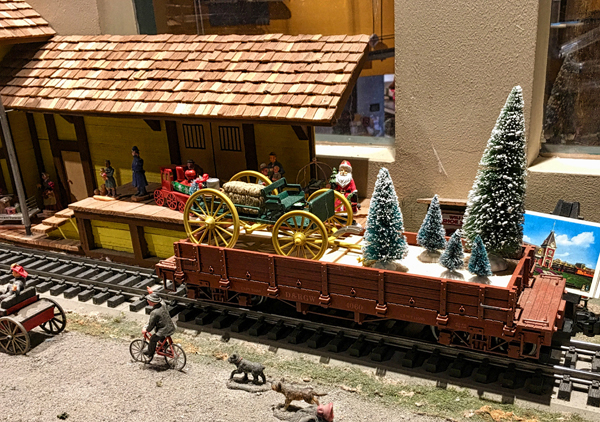 Join us for the fun and excitement of model railroading! 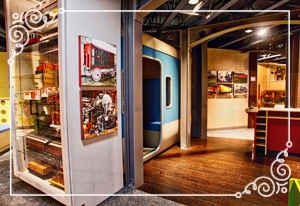 Watch a video of the Science & Imagination Railroad in action! 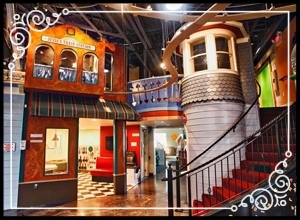 Watch the Science and Imagination Railroad in action at the Children's Museum of Sonoma County.